A link to "Business VoiceEdge frequently encountered scenarios" will be sent via email. Your link to 'Business VoiceEdge frequently encountered scenarios' has been sent! Troubleshoot frequently encountered scenarios with managing your Business VoiceEdge service in My Account. 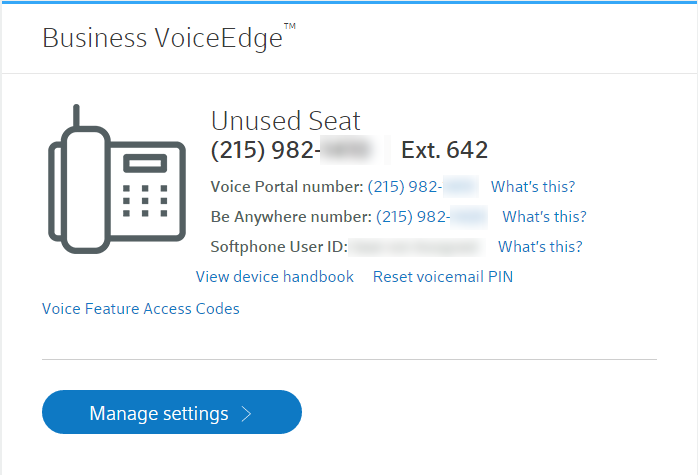 Use My Account to manage your Business VoiceEdge account and settings online. Please complete a quick self-configuration if you are signing in to My Account to manage your Business VoiceEdge service for the first time. Refer to Begin your Business VoiceEdge online experience for more information. Access business.comcast.com/myaccount and select Sign in to My Account. Enter your Email address and Password. Select Sign In. If you forgot your email address or password, select the corresponding link on the My Account sign-in page. Enter your Account Number and either the Zip Code of the business address or the Phone Number on the account. Select Continue. Select the appropriate username and select Sign In to confirm. Note: If you select Not one of the users above? you will be redirected to Step 1. Sign into My Account with the username selected, as prompted. Business VoiceEdge offers Call Forwarding options to help meet a variety of needs. Learn how to manage various Call Forwarding options at Manage Call Forwarding for Business VoiceEdge. Call Forwarding Always: Ensure customers and colleagues can reach you, regardless of your physical location. Automatically redirect all incoming calls to another phone number of your choice. Call Forwarding Busy: Automatically redirect incoming calls to a different phone number when your phone is busy or Do Not Disturb is enabled. Call Forwarding No Answer: Automatically forward all unanswered incoming calls to another phone, individual, or group. Call Forwarding Not Reachable: Automatically route incoming calls to a different phone number in the event of power outages or natural disasters causing outages. Call Forwarding Selective: Automatically redirect calls from certain callers or during specific periods of time to a different phone number. Hunt Groups automatically process incoming calls received by a single phone (your main business telephone number) by distributing it among a group of users or agents. To learn more about Hunt Groups, please refer to Edit your Hunt Group settings for Business VoiceEdge. Setting schedules is a very important part of making your business function properly and ensuring calls go where they need to go. To learn more about schedules, please refer to Manage time and holiday schedules for Business VoiceEdge. Manage a user's name and permissions and invite a new user, delete or deactivate a user from My Account. Select Business VoiceEdge Admin from the Services menu. Select Manage next to the user's phone number and email. 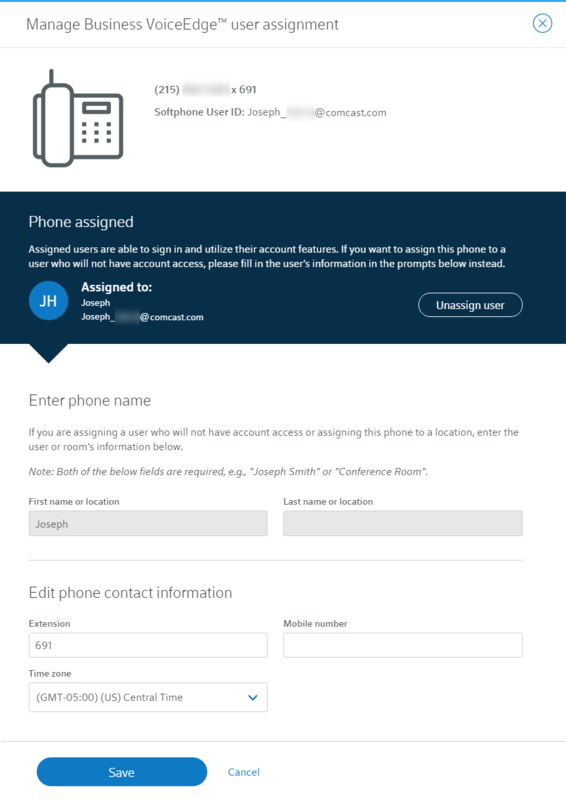 Update the phone name, edit the phone contact information or select Unassign user to unassign the user from that phone. Select Save. Individual users can manage their Caller ID though My Account. Sign in and select Manage Settings from the dashboard. Select the Pencil icon to edit Caller ID display name. Enter a new Caller ID first name and Caller ID last name. Select the Checkmark to confirm. Voicemail is enabled for all users with a Unified Communications seat. Use the information below to set up voicemail and access your messages. You will be prompted to set up your voicemail when you first sign in to My Account. 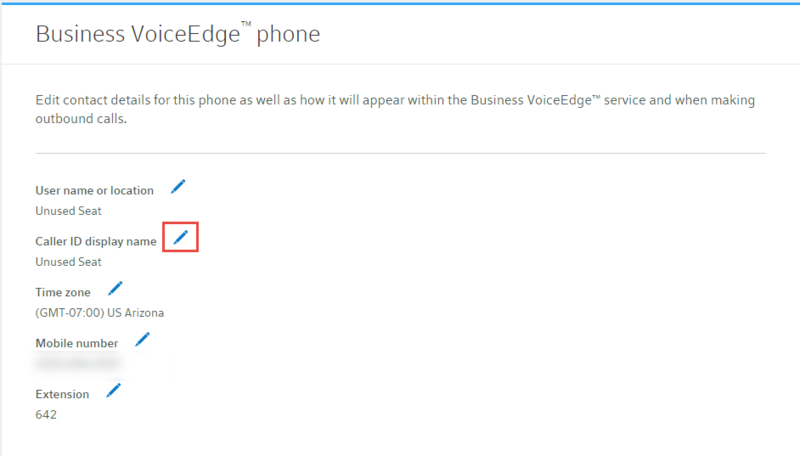 Please refer to Manage your Business VoiceEdge voicemail settings for more information. Access Call Park Group settings to place calls on hold and direct them to a Call Park Group. Place calls on hold and direct them to a Call Park Group where another user can retrieve the call.